We are always grateful to our Alumni Network for their support in promoting Projects Abroad. The best way to learn about our placements is to talk to people who have been there and done it themselves! In the UK we run a number of promotional activities that former volunteers can take part in. Attend an Information Evening or Coffee Session - Each year we hold a number of in key areas of the country. Our alumni representatives are one of the most important aspects of these events. Speak to your careers advisor - any volunteers are introduced to the concept of volunteering through their college, school or sixth form. 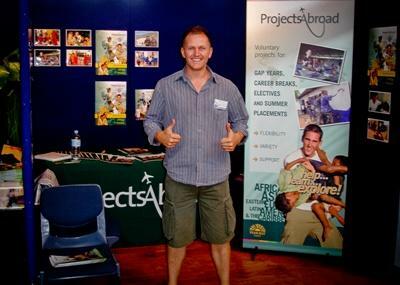 If you are a student, you are in the perfect position to speak to an advisor at your school about your time with Projects Abroad. If you are happy to speak with your advisor please email us and we can send you a pack of our literature to give them. Attend a careers fair - Schools, colleges, sixth forms and universities around the country often hold international opportunities fairs. As a Projects Abroad representative, you will be able to provide valuable information for the fair attendees and share your own experience being abroad. Hold a presentation - Many people in your school or community could benefit from hearing about your experience. If you are comfortable speaking about your time with Projects Abroad, contact us to learn more about arranging a presentation in your school, work place, or community. Write a newspaper article - If you have connections with your local, regional, university, or club/society newspapers, please contact us for details on writing a newspaper article related to your experience with Projects Abroad. 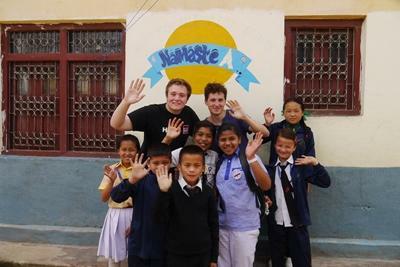 Write a Volunteer Story - Writing a Volunteer Story about your time overseas is a great way to sum up and reflect on your international volunteer experience. They are also one of the most valuable tools that we can offer potential volunteers. You can view Volunteer Stories from other alumni to get an idea of what we are looking for. Allow us to pass on your details - Potential volunteers often ask to speak with alumni from a specific project or country. We maintain a list of alumni who have agreed for us to give out their email address to potential volunteers. If you would like to take part in any of the activities mentioned here or are interested in more information on Projects Abroad’s Alumni Network, please send us an email to alumni@projects-abroad.co.uk.